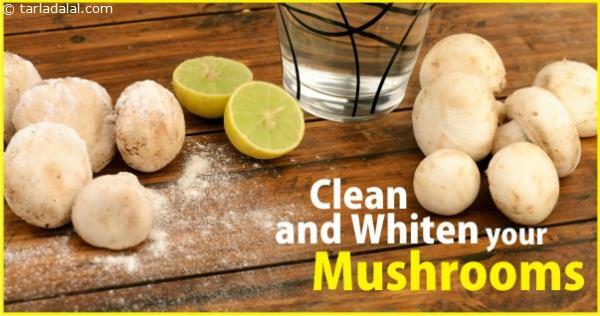 o clean mushrooms, apply a little plain flour (maida) or lemon juice on them and rub gently. Then, wash them under running water. This will not only get rid of all the grit and mud present on the surface of the mushrooms but also have a whitening effect on them.